What do the Lord of the Rings, the movie “Aquaman,” and the book of 1 Samuel have in common? The answer to the question I just asked, is that in all of them a prominent theme is that people want a King. But not just any King, they want a King who is strong, good and just, and who will conquer evil enemies. You may be familiar with the stories of how Arthur Curry became Aquaman and Strider became Aragon, and in this lesson, you’ll learn the history behind how Israel got its first king. Before the first King Saul, we will look at the life of Samuel, the last of the Judges. He’s a powerful, fascinating character, that though over 13 chapters in the Bible talk about him, we know little of his personal life. 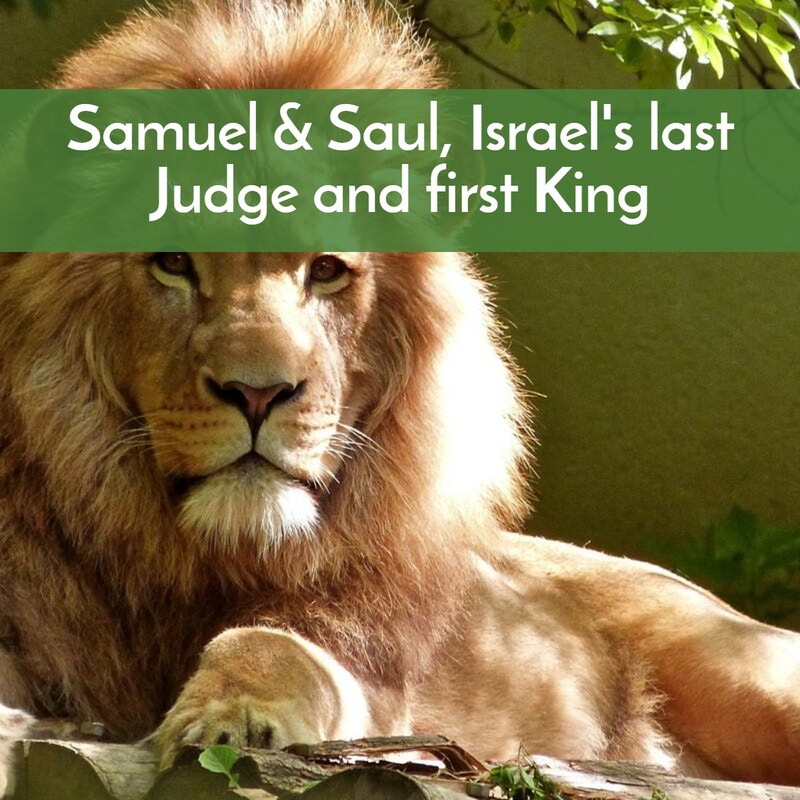 But we know a lot about the things he did for God and how his life was the link between the time of the Judges and Israel’s identity as a nation. • Not to belittle any of us and our struggles, but to assure us that nothing happening now or in process surprises our God. • 1 Chronicles (originally 1 book with 2 Chronicles). • Much about the Temple, priests, etc. • 1 Samuel 2:1 “How I rejoice in the Lord! How he has blessed me! For the Lord has solved my problem. But the wicked shall be silenced in darkness. No one shall succeed by strength alone. He thunders against them from heaven. He judges throughout the earth. • 19 As Samuel grew, the Lord was with him and people listened carefully to his advice. 20 And all Israel from one end of the land to the other knew that Samuel was going to be a prophet of the Lord. 21 Then the Lord began to give messages to him there at the Tabernacle in Shiloh, 4 1 and he passed them on to the people of Israel. • 10 While Samuel was sacrificing the burnt offering, the Philistines drew near to engage Israel in battle. But that day the Lord thundered with loud thunder against the Philistines and threw them into such a panic that they were routed before the Israelites. 11 The men of Israel rushed out of Mizpah and pursued the Philistines, slaughtering them along the way to a point below Beth Kar. • 12 Then Samuel took a stone and set it up between Mizpah and Shen. He named it Ebenezer,[saying, “Thus far the Lord has helped us.”…..
• But King Jesus is coming –we can be sure of that and His kingdom of good and peace will have no end. • May we serve him well as his representatives until that time.